KapMan clips over the male foster / quick-disconnect fitting used to fill PCP air guns and pantball tanks. Unlike megnetic fill caps that rely on a magnetic attraction, ours clips around the male foster fitting to hold it’s self in place. 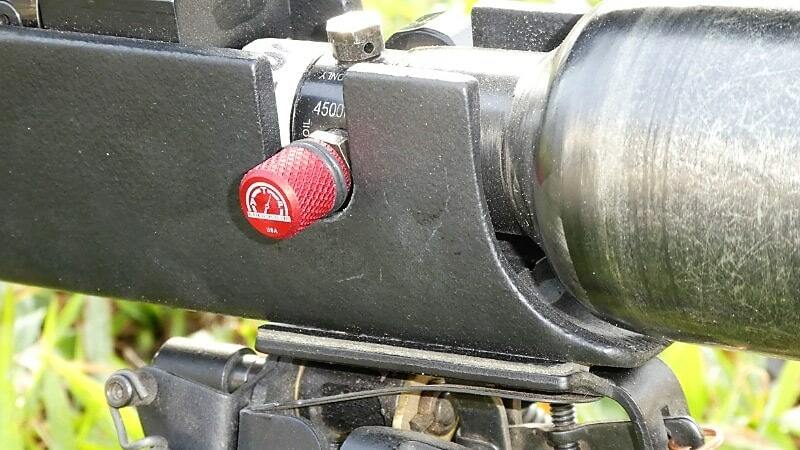 So, how do you keep dirt, water, and bugs out of the male “Foster” fill port on your air gun? Simple! KapMan to the rescue! 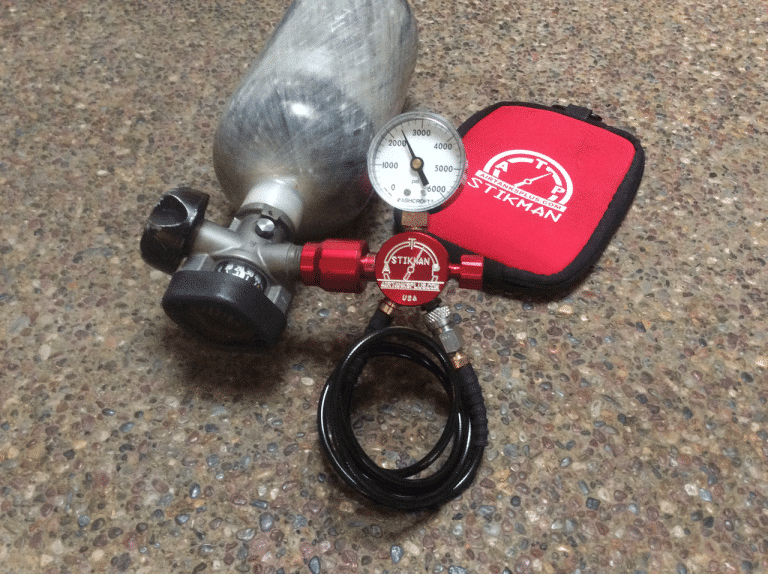 Introducing the Air Tanks Plus fill port cap…we call it “KapMan”. KapMan snaps on to any 1/8” Foster style male quick connect. No rubber to break and fall off, and it has no magnet which will not work on most stainless steel fittings. I am a big fan of the smaller high pressure tanks for convenience and portability. Sometimes you don’t need to lug a big 88CF scba tank around just to fill your PCP airgun a few times. When I’m not going to need a lot of air like when shooting our big-bore airguns I will just grab one of my smaller pony sized scba tanks. I guess I got tired of carrying it around tucked up under my arm so I broke down and had a prototype bag made. After using the prototype for around 6 months Gene and I decided to have a batch made up. I think this bag is a good fit for the Ninja EZ Fill tanks. I don’t know how I forgot to mention that in the You Tube video, but I totally left it out.